When writing a picture book, I sometimes like to focus on a main character’s defining trait. In Mostly Monsterly, Bernadette is a monster who has a sweet side. In Mary Had a Little Glam, Mary, well, she has a thing for glam. 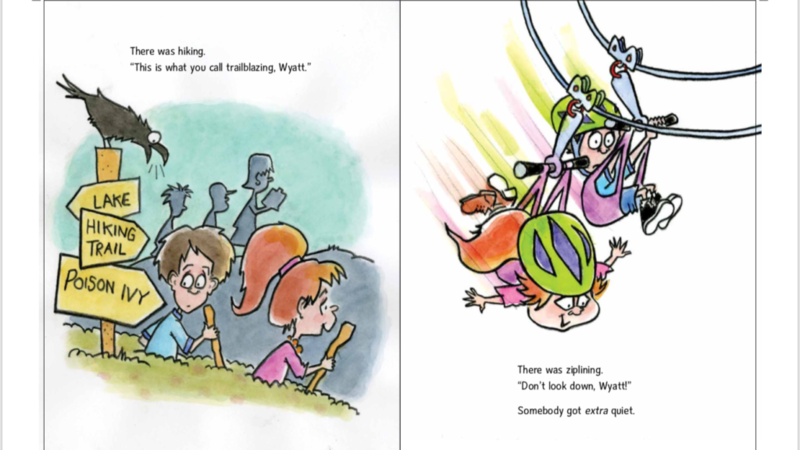 In Quiet Wyatt (Clarion, Sept. 25, 2018), my book with illustrator Arthur Howard, I wanted to key in on a kid who is known for his quietness. Being quiet works for Wyatt. He’s a spectacular tree in the school play. He’s the model visitor at the dinosaur museum. And he’s great at ninja camp. There are lots of kids like Wyatt. Kids who don’t want to be the center of attention, kids who sit back and take things in, kids who get their rejuvenation from time spent alone. While I love Wyatt and his quiet disposition, I knew I had to push him out of his comfort zone to give this book some conflict. Poor Wyatt! Not only did I send him on a rowdy school bus for a field trip, but I partnered him with one classmate in particular. Noreen. Some might say Noreen is noisy. Some might say she’s a know-it-all. I say she’s a lot of both. Through it all, however, Wyatt stays quiet. Well…until one cliff-hanger moment in which he realizes he can’t. Wyatt steps into the spotlight just in time and saves the day the best way he knows how. By the story’s end, both Wyatt and Noreen have gained something from each other. Noreen realizes that, from time to time, it’s good to be quiet. Psst. 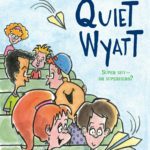 For a chance to win a copy of Quiet Wyatt, just leave a comment on this post. For an EXTRA chance, share this post on Twitter and include my handle @SauerTammi. Arthur Howard, Tammi Sauer. Bookmark. Shout out to my fellow quiet peeps!! 😊 Cobgrats, Tammi! I was a Quiet Wyatt, so I can relate! I love Tammi’s books and I can’t wait to read this one. Perfect topic for a bunch of introvert writers. Can’t wait to read it! It’s good to have quiet celebrated! Quiet Wyatt sounds like an old friend. I can’t wait to read your book! Love the art portraying poor Wyatt! Great cover! I can’t wait for this one. 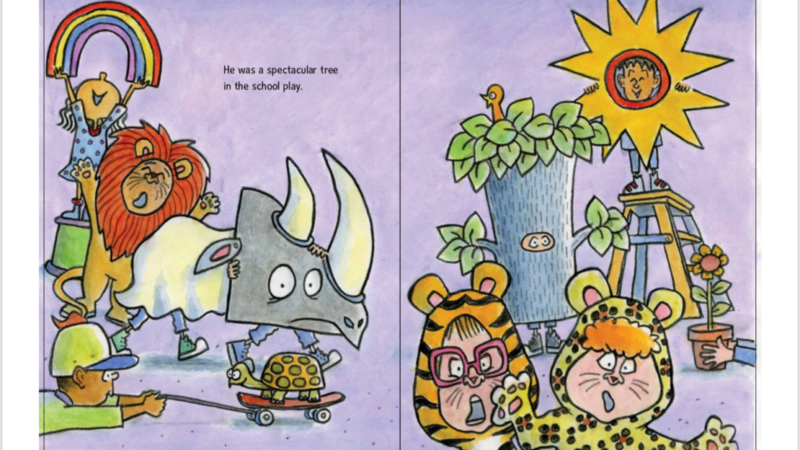 It looks hilarious, and so many kids will relate to either Noreen or Wyatt. I want to get this for my shy granddaughter. (I want to get it for me, too!) I am curious, of course, what happens to make Wyatt speak up. The illustrations are perfect, too! 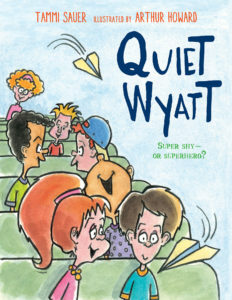 I’ve spent my life trying to stay out of the spotlight, so Quiet Wyatt is the book for me! Sounds like a super fun book! Can’t wait to read it! Yay! 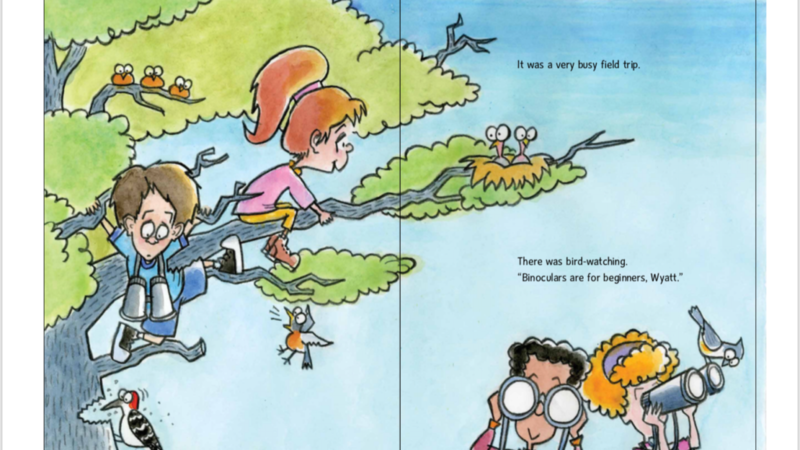 A book for the quiet kids…and quiet parents! Sounds wonderful. This will appeal to many of our young readers! Congratulations, Tammi! And thank you for continually giving us a peek into your writing process – so helpful to your fellow picture book writers. I was always the shy, quiet kid with her nose in a book. Now I write books and have to stand up in front of crowds and talk about them. The secret is to talk about something I am passionate about. Sounds like a fun bokk for both types. I love the relationship you built here! Can’t wait to read it! I love the balance of specificity and open-endedness in the text so the illustrator could really flesh out the characters and scenes. Also, I’ve always said everyone is good at something and this is a nice version of that ideal. What a gift to quiet children everywhere! I would get extra quiet on a zipline, too. Thanks for giving us another glimpse into your writing process and another action packed/relatable/flawed character story. Can’t wait to read this one! love highlighting kids not in the spotlight! Ah yes, “kids who get their rejuvenation from time spent alone.” I get this. Also as a writer, I’m noticing all the room you left for the illustrator in the text. Looks like a great mentor text for this craft piece as well. I was a very quiet child in grade school, as is my granddaughter who is now in kindergarten. I would love to read this to her. Can’t wait to read this book to see what you’ve done with this character. Love this! As someone who was relentlessly teased for not living up to her nickname (Gabby), this book speaks to me. I really want to read this book! I know my kids would love it! Thank you for sharing! Lovely! I was a Quiet Wyatt myself. Can’t wait to read and share this one! Sounds great. I love all your work Tammi. Can’t wait to read this one! 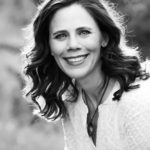 As a kid I was painfully shy and only as an adult have gained the confidence to overcome. Thanks for the post today and chance –I can’t wait to read it for myself. So stinkin’ cute! And the illustrations are adorable! What a fun book! Can’t wait to experience it! I am more like Noreen, but I can’t wait to read/win this book of opposites and the conflict that ensues. Thanks for the peek at Quiet Wyatt! He seems charming! I love the message behind this book! This looks great, Tammi! Can’t wait to read it!! Thank you for sharing your writing process. There are so many Wyatts in this world who will see themselves in this story. 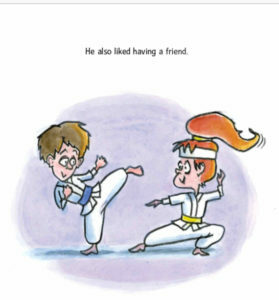 Many kids will connect and relate to this main character. As always, I look forward to reading books authored by Tammi. I look forward to reading QUIET WYATT. I’ve shared this post on Twitter. Oh, I can’t wait to read this! Love all your books, Tammi. This looks awesome!! Can’t wait to read it! Congratulations, Tammi! Happy Book Birthday! I can’t wait to read it! Thanks for the chance! Hooray for quiet kids! Quiet Wyatt sounds like my kind of kid. I’m looking forward to reading this. I think I’m married to Wyatt (and I may be a tad Noreen- lol) I’ll have to get this for my library! Many congratulations Tammi! It sounds so fun! I recall being afraid to make a phone call as a quiet kid. Of course that changed with time! Congrats, Tammi. This looks like another winner! I’ll definitely be adding to my collection! Too much fun! Love it! Congratulations! I’m going to share this on Twitter as well. Congratulations, Tammi! I can definitely relate to Quiet Wyatt. I think you’ve nailed his personality! Can’t wait to read this one! Funny how many writers were quiet kids! I’m certainly one of them. Thanks for this one Tammi! I LOVE the juxtaposition of extremes! Thanks, Tammi! BTW, I read your “Knock, Knock” at Reading Partners this week! The kiddos loved it! Thanks for ALL your fun books! What a great book to put in the hands of quiet students and to share with entire classrooms. Thank you for writing a book about students that can so easily be overlooked. This looks great for all the quiet people. I already love little Wyatt! He’s a kid after my own heart. Congratulations, Tammi!!! Yay for all the quiet people of the world. So glad to see this story about Quiet Wyatt. I really meant to say Love the idea of the story… lesson learned sometimes be quiet long enough to reread my message! I am looking forward to getting my hands on this new story! I will have to stop by Best of Books in Edmond and pick it up! I think that this will be a great way to hook those quiet students and give them a chance to relate to a character! As another quiet person, I can’t wait to read Wyatt’s story! I can relate to Wyatt. Thanks for telling his story! Wyatts of the world here is our story!! Looking forward to getting my hands on this one, Tammi. Thanks for sharing. Looks cute! The illustrations remind me of the some of the PBs I enjoyed as a kid. Wyatt and Noreen sound intriguing, I’m looking forward to see how these two opposites intermingle (and all for our amusement! )…..